Does your organization allow you to ask any question of your data? Here's why it should. 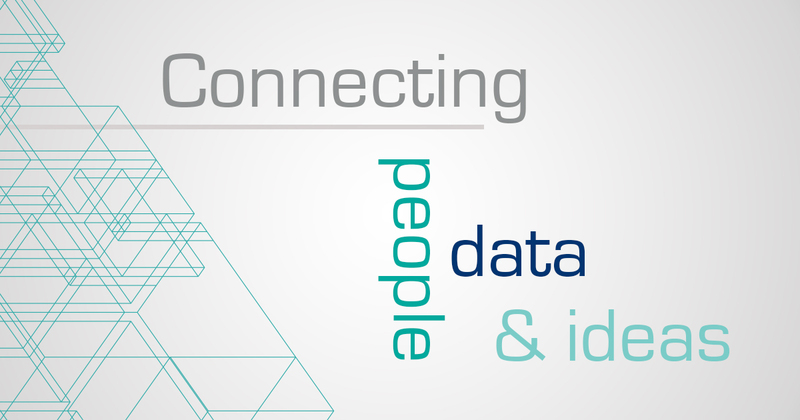 In this, the final part of this four part series we’ll pick up the theme from Part 3 and look at the key characteristics that define a best-in-class data-driven business when it comes to connecting ideas. Traditional business intelligence has been built around a centralized publish and subscribe model, however this does not encourage experimentation beyond a few data scientists and the owners of business intelligence infrastructure. Data-driven enterprises encourage a broad range of users to experiment with and explore their data and take acceptable risks through a decentralized but governed (see Part 3 for a reminder on the value of governance) self-service environment. Most critically, and perhaps the most challenging cultural change is that they not only tolerate failure but allow people to fail fast and increase the problem solving capability of the company to more effectively drive innovation. Can you truly experiment with your data? You should think twice about your analysis! The majority of business intelligence deployments are focused on asking what happened and work on the assumption that users know the questions to ask. To the contrary, data-driven enterprises are not restricted in the questions they can ask, they use hypothesis to explain trends and can understand how their data is related to refine the questions they ask, and moving them from what happened, to why it happened and what is likely to happen next. This requires freeform analysis and exploration of data, and as I mentioned at the start of Part 3 in this series, without limitation or a pre-conceived notion of the data model. Finally, data-driven enterprises recognize that it’s not just about making decisions quicker but about uncovering new opportunities for growth, defining new business models and new ways to reduce risk. Contrary to popular belief: very few big data projects (in my opinion) focus on direct decision making. They are instead geared to generate deeper business insights and to optimize, automate or even design new business processes. They more directly support sales and marketing growth, improving operational and financial performance, compliance management, product and service management plus direct and indirect data monetization. These insights help data-driven businesses define new business models that put data at the heart of their operations. As an example – one participant in our Forbes Insight study was a leading provider of services to the asset management and banking indus­tries. An accounting executive with no formal prior BI training was able to develop an array of dashboards providing insights so compelling that once shown to prospects, the firm was able to, nearly immediately, sign five new major clients. 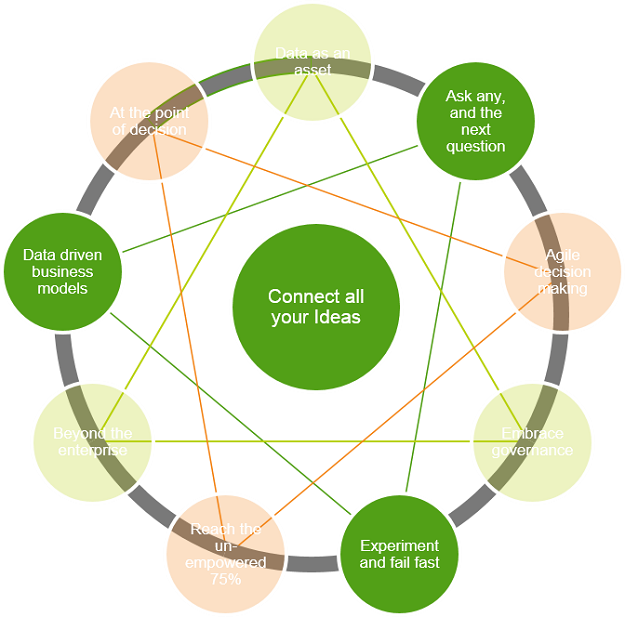 Ultimately of course, I believe that Qlik’s visual analytics platform with its rich data connectivity and governance framework that allows our customers to connect all their people, data and ideas and become agile data-driven organizations. Most importantly however, I’d be interested in your thoughts on the ideas I’ve shared in these blogs, particularly the best practices. 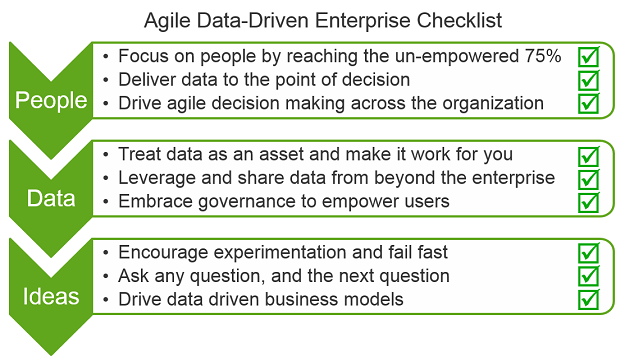 What do you believe defines a data-driven organization? In the meantime, hope you enjoyed this series!